When you are on the road for several hours at a time, there is bound to be an accident of some sort at one time or another, no matter how careful you are. After all, you may be driving according to the rules of the road, but others are not, and many people don’t pay attention when there are big rigs around. For instance, how many times have cars just pulled right in front of you, with little room to spare? This is just one reason why it is necessary to have a dash cam in your rig. Let’s take a look at three of our favorites. 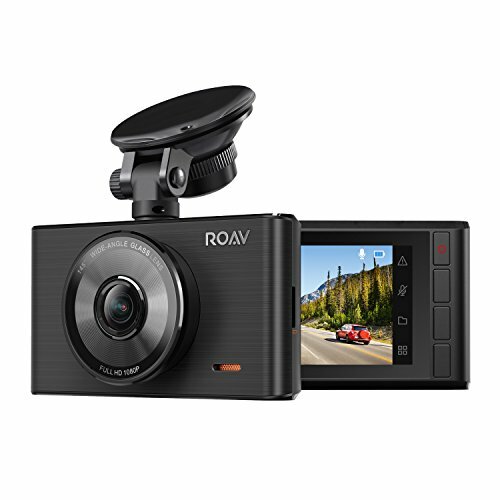 WHAT YOU GET: Roav DashCam C2, Trim Removal Tool, 2-Port USB Car Charger, Suction and 3M Sticker Mounts, User Manual, Happy Card, our 12-month product replacement warranty and friendly customer service. You are on the road day and night, and you need a dash cam that offers total night vision. That is what you will get with the Roav by Anker. This dash cam can easily capture information on license plates, in light or dark conditions. The video is clear and rich, thanks to the advanced Sony Exmor IMX323 sensor and the Ambarella A12 chipset. 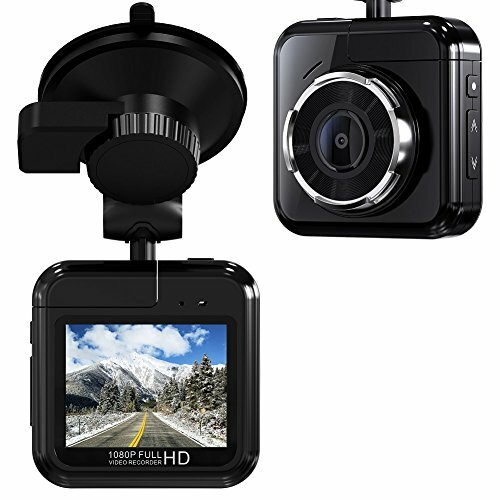 This dash cam is ideal for anyone who is on the road at all hours of the day or night. It allows you to see the entire road ahead of you, as well as either side, whether you are driving during the day or at night. The f2.0 wide angle aperture lens is made up of five lens elements, so it will capture four full lanes of traffic, recording everything that is going on around you while you are on the road. We love that this dash cam will work in extreme temperatures on either end of the scale. It is designed with a steel frame that helps to draw heat away from the internal circuits. 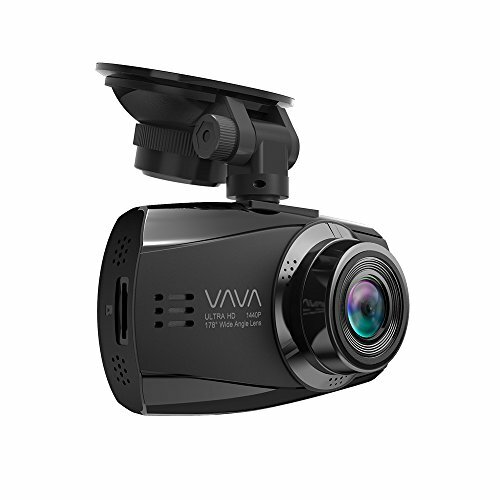 It will operate in -4 degrees F to -158 degrees F, or 32 degrees F to 158 degrees F.
The VAVA Dash Cam VA-CD007 captures sharp, 1440p, 30fps recording, day or night, so you can capture everything around you no matter how dark it gets while you are on the road. This is a dash cam that is loaded with features, including loop recording for long hauls, ignition-triggered auto recording, and parking mode for emergency videos when you are not near your rig. This dash cam has an F1.8 wide angle lens that lets you capture more of what is going on around you on the road, even if you are driving in low light conditions. It has a user-friendly design, and the dual USB port car charger lets you power not only the dash cam, but also another device. The interface is icon-based and easy to use. You can keep this dash cam powered with the dual USB port car charger, which comes included with your purchase. You will actually receive two USB charging cables, one for installation and one for data transfer, along with the car charger, a suction cup mount, an installation tool kit, and the user guide. 【Easy installation】Just simply mount it to windshield, connect the power cable, the car camera will automatically on/off when the engine ignition on/off. Perfect for new or experienced motorists. The Beschoi 1080p Mini Dash Cam comes equipped with a six element-sharp, 170 degree, wide angle lens that lets you view a lot of what is on the road around you, instead of just what is going on ahead of you. It offers six power functions, including super HDR, G-sensor, motion detection, parking monitoring, loop recording, and time stamp. This dash cam will turn on and automatically begin recording as soon as you turn on the ignition. It will automatically shut itself off when you shut down, unless you are using the parking mode. It offers many features, including collision detection. Thanks to the built-in G-Sensor, this dash cam will save and lock video data. This dash cam has a 2.0 inch display, so you can easily see what is being recorded, but it isn’t large enough to be distracting. There is even a built-in microphone and high quality speakers. It comes with the camera, a car charger, a 32GB SD card, a USB cable, a suction mount, and the user manual. If you are spending many hours on the road, you need to have a dash cam for your own protection. In a perfect world, you will never need it to give you proof of an accident. But this is not a perfect world, and there are too many careless and reckless drivers out there. Any of the above dash cams will be ideal to have inside your rig. A dash cam will let you see everything on the road around you, and if you are in an accident, you have evidence for a police report and an insurance claim.